The purpose of this site is to help teens, parents, families, and friends who may have a loved one who is struggling with drug and alcohol issues. Our website is designed to help educate on the statistics of teen drug addiction and what warning signs are associated with teenage alcoholism and drug use; such as cocaine, heroin, tobacco, and marijuana. Our goal is to help teen alcoholics, teens who are addicted to drugs, and adolescents who may be experimenting with drugs find therapy or treatment to overcome these addictions and behaviors. When it comes to teen drug addiction, there are many dangers associated with substance abuse and risky behaviors you can watch out for to prevent that from happening to your teen. Substance abuse is a world wide problem. 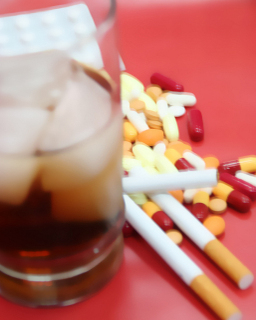 Knowing which risky behaviors to watch for is important. Teen drug abuse and drug addiction gets to a point it must be addressed. A teen drug intervention can be a very successful way of addressing drug use, drug treatment options, and show support of drug rehab or drug recovery. Keep reading for info on teen drug interventions. Salvia leaf comes from the salvia divinorum plant. According to recent teen drug use statistics, teen salvia leaf use is on the rise. If you are not aware of this hallucinogenic drug teens are abusing, and the signs and symptoms of teen salvia use, this article is a must read. Teen drug abuse and drug addiction can be a difficult situation to handle. Choosing to admit your teenager to a teen drug rehab is a big decision. This article discusses options when considering teen drug rehab and supporting your teenager through treatment and recovery.